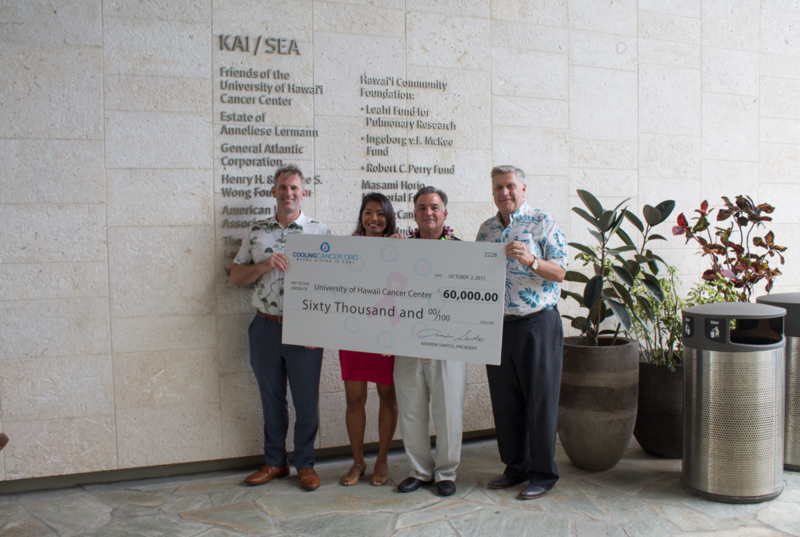 COOLINGCANCER RAISES $60,000 FOR UH CANCER CENTER! 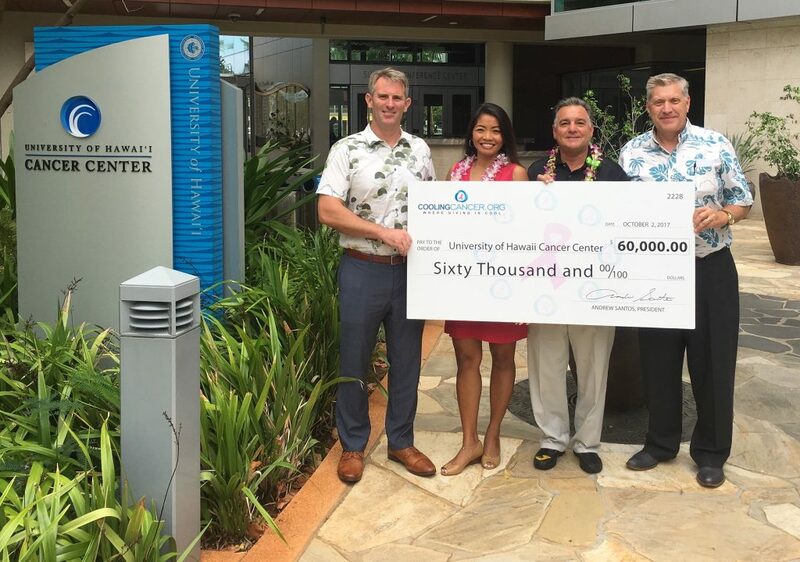 CoolingCancer.org presented a check for $60,000 to the University of Hawaii Cancer Center on October 2, 2017. 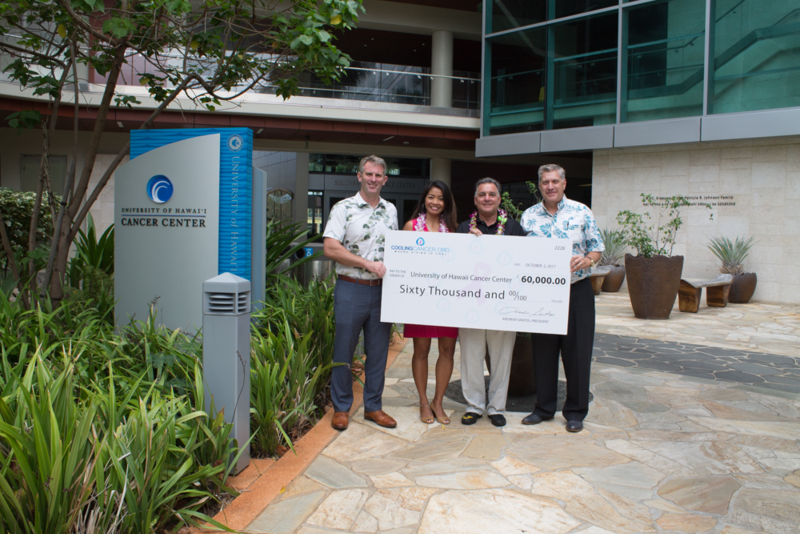 Majority of the $60,000 was raised during our 5th Annual CoolingCancer Golf Tournament held in September at the Hoakalei Country Club. 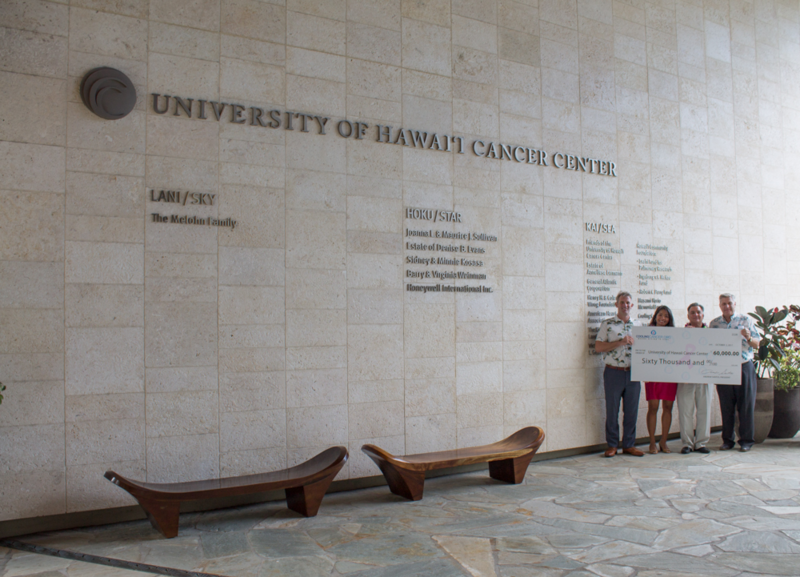 This year’s donation brings CoolingCancer’s total contributions to the UH Cancer Center to $210,000!! 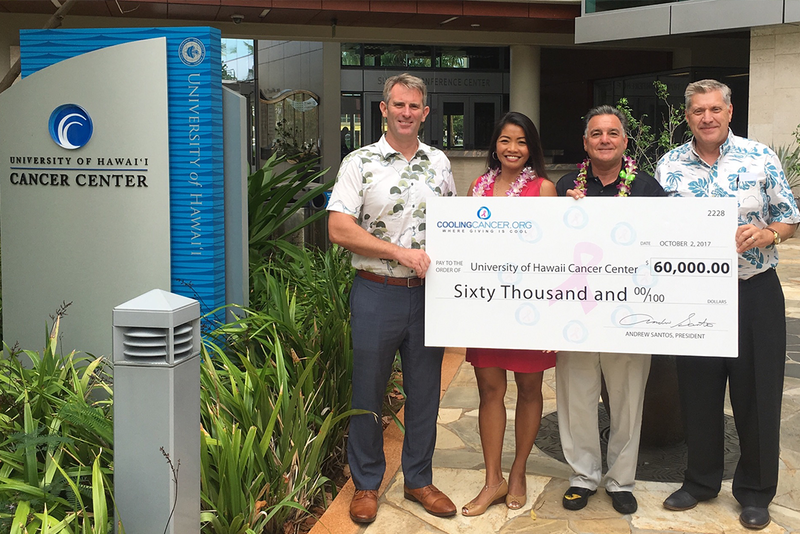 Our sincere thanks to the sponsors, volunteers, golfers and contributors to this event. We are looking forward to having you all back for our 2018 tournament!